Labour’s Sadiq Khan says the arguments in favour of capping rental hikes are overwhelming. The Mayor of London is considering introducing rent controls in the capital in the face of spiralling costs. Sadiq Khan claims the arguments in favour of capping the amount by which landlords can hike their rents are “overwhelming”. In a letter to MP Karen Buck, who represents Westminster North, he said London needed to have a strategic approach to rent stabilisation and control. He is due to set out his proposed blueprint for reforming tenancies in his ‘London Model’ in the spring. James Murray, Deputy Mayor for Housing & Residential Development, said: “The Mayor has been frustrated by his lack of powers to help the 2.4 million Londoners who rent their homes privately, many of whom he believes are being let down by a legislative framework which is out of date and not fit for purpose. 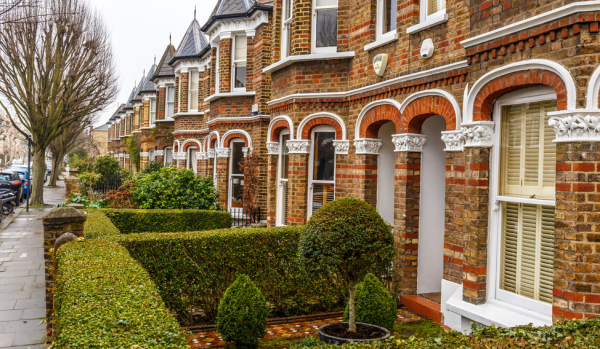 The comments come as research from insurer HomeLet showed that rents in London had soared by 4.4% in the year to the end of November – double the rate of inflation of 2.2% as recorded by the Consumer Prices Index. The cost of renting a home in London has risen sharply in recent years to stand at an average of £1,597 a month, according to HomeLet. One way to help keep renting affordable is to introduce limits on the amount by which landlords are allowed to increase their rents each year. The practice is used in a number of US cities, such as New York, San Francisco and Los Angeles, as well as across Germany. But it was phased out in the UK from 1988 onwards, and it would require a change to the law if it was to be reintroduced in London. The move would obviously be good news for tenants, who would no longer have to face unexpected significant hikes in the cost of renting their home. But it would be bad news for landlords, as they would not have the ability to increase rents in line with their own rising costs. The National Landlords Association has previously described rent control as “one of the most catastrophic risks to the private rented sector”. The move would also come on top of a raft of recent tax changes which have affected landlords, causing some investors to exit the sector altogether. London is not the only region of the UK seeing above inflation rent rises, with the cost of being a tenant increasing by 2.9% in Northern Ireland and by 2.4% in Scotland in the past year. But across the UK as a whole, rents rose by just 1.5% in the 12 months to the end of November to stand at an average of £918, falling to £760 if London is excluded. Some areas of the country have actually seen a fall in rents in the past year, with the cost of being a tenant dropping by 1.8% in Wales and edging 0.2% lower in Yorkshire and Humberside.